The perfect festival footwear on the road to Bonnaroo. Making the Teva Original Universal the Official Footwear of the music festival season. 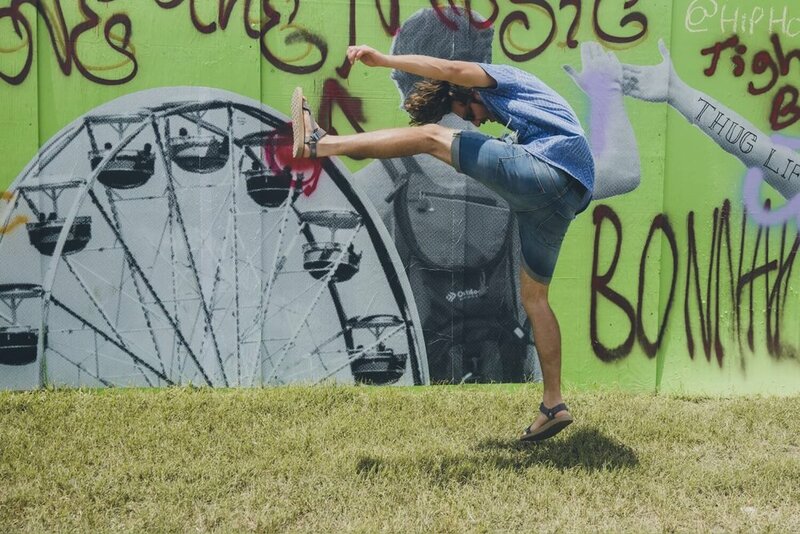 The Teva Original Universal provides not only the physical freedom but the freedom of expression festival-goers crave, making it the perfect footwear for music festivals. To drive sell-through and continue to build relevance with music festival season, we developed a comprehensive media and influencer campaign that would activate both active lifestyle and fashion-driven, music-loving audiences. Summer fun prevailed by teaming up with former Billboard #1 Emerging Artist, MisterWives, as they road-tripped across five states to Bonnaroo. Free-spirited and full of personality, they proved a perfect match for the qualities of the Original Universal. We worked with them to go beyond just creating fun content, but to give fans the power to influence their journey. Fans could tweet songs they wanted the band to play on the side of the road, even what they should wear. MisterWives made the adventure amazing. In addition, we tapped over 20 fashion influencers throughout festival season to develop festival-inspired looks and tips featuring the Teva Original Universals in their own authentic voice and style. With a geographical emphasis on the Southeast, we helped Teva build relationships with key stores through a targeted gift-with-purchase incentive featuring festival go-bags—bags curated with all the necessary items for the prospective music festival-goer. All of the campaign content was supported by an extensive digital media push. All told, the campaign firmly tied Teva to festival season and resulted in well over a 100 million impressions, eclipsing CTR benchmarks and outperforming plan expectations on almost every media channel, leading to an estimated 5x return on investment. Most importantly, we created a campaign that connected with consumers in a way Teva firmly believes in: by being authentic, by adding value and by aligning their product with the things their fans care about most.